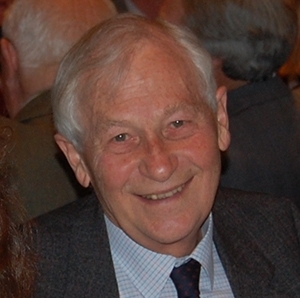 David Yardley, who served both as Head of Department, Law, Politics and Economics as part of Oxford Polytechnic 1978-80 and as a visiting professor, Department of Law 1996 - 2001, has passed away on 3 June 2014, aged 84. Sir David was educated at the University of Oxford and the University of Birmingham. After serving in the RAF and being called to the Bar at Gray’s Inn, he had a distinguished academic career across University of Oxford, University of Birmingham and Oxford Brookes. He also undertook many other public roles, including acting as a local government ombudsman and the Chairman of the Commission for Local Administration in England (1982 to 1994). Sir David was also a great supporter of the Oxford Preservation Trust, serving as its Chairman for twenty years. St Edmund Hall’s Principal, Professor Keith Gull, said, “David was a phenomenon: one of the nicest and most generous men I have ever met. The combination of such attributes with a great academic mind, wit and wise judgement is rare indeed. He leaves behind his widow, Patsy.